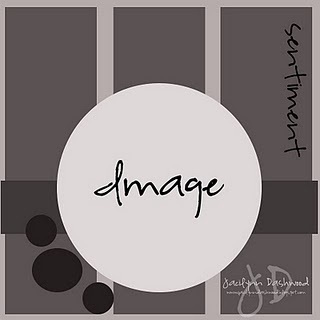 I found this adorable digi image at Clear Dollar Stamps, and am hoping to get it in to their challenge (sketch challenge this week), Clearly I Stamp, before it closes!!! The fabulous DP is some Echo Park that I found while shopping in Florida...yummy!!! Hope that you have all had a great day, and I'll be back tomorrow night with a blog candy winner, and hopefully something creative! Hello dear friends! I can finally share my 'life' with you all! DH was very adamant that he did not want 'the whole world' (lol) to know that we were going to be out of town, and that the house would be empty. I honored his request. We will be celebrating our 38th anniversary soon, and we have never taken a vacation. So...DH and I left on the morning of March 18th and drove about 10 hours to Griffin, Ga., where we spent a night with DH's brother and SIL. Then... We left dear doggie with them, and continued another 10.5 hours drive on the 19th to FLORIDA!!! Our DS flew into West Palm Beach, and we picked him up there. We spent one night in W.Palm Beach, and then drove back up to Jupiter, Florida, where the St. Louis Cardinal's have their baseball spring training games! DS had rented us a fabulous 2 bdrm., 2 bath condo less than 1/4 mile walk from the beach. It had a washer/dryer, fully equipped kitchen, etc. All we had to do was carry in our bags and it was like coming home! Beautiful!!! We then went to ball games on the 20th, 21st, 23rd, 24th, 25th, 26th, 27th, in Jupiter, Viera, and St. Lucie Florida. What fun we had! Seafood, walks on the beach, ball games, boat rides, etc. I played hooky on the St. Lucie day from the game, and instead, met up with Suzanne Edwards, one of my blogging friends that my friend Shirley introduced me to on-line. We had a wonderful visit and lunch at a great Mexican Restaurant, and then went to Suzanne's LSS and shopped! I even found Echo Park papers!!! Wahoo! While there, I met another friend of Shirley's that I've swapped with many times, Janie Fires (don't know if I have spelled that correctly). Then a DT member from the Magnoliaicious DT came in and I talked with her (didn't get her name). What a great day! So, that is where I have been for the last 12 days or so!!! We enjoyed temps of 87-97 degrees, with NO SNOW, NO SLEET, and even no rain!!! Now you know why I asked you what your favorite ball team is! There's still time to sign up here for my blog candy too!!! Thanks to all of you for being patient with me! It's been wonderful seeing our DS and visiting with him. He's in the AF and lives in Los Angeles, so we don't see him very often, and this was an unbelieveably relaxed and wonderful visit. We've also decided that vacations are a lot of fun! We got home a little while ago. Tomorrow, will be unpacking, picking up the mail (OMG, gasp, shriek - what a mess THAT will be! ), and working on our monthly reports for his business. However, I plan to create SOMETHING!!! I have SO missed creative time in my girl cave! I know I have been awol for a week or so, and I'm very sorry! I'll be back in the swing of things in a few days!!! In the meantime, I want to give one wonderful reader a $20 gift certificate to Lisa Hjulberg's new store, The Craft's Meow! My dear friend Lisa, has just opened a new on-line store featuring her own line of stamps, card kits, etc! One lucky winner will have fun shopping! Just leave a comment here on this post, telling me what professional baseball team you cheer for! That's all!!! If you leave a comment, you will be entered once. If you are a follower and you comment, you will be entered twice! Easy peasy!!! Drawing will be held March 31st!!! So sorry that I've been MIA lately!!! I promise things will be back to normal at the end of the month, and I'll tell you all about what is going on in my life then!!! Several weeks ago, I hosted a Bookmark Swap. There were 10 of us: Chelsea Comer, Kim Sears, Shirley Hotop, Michelle Bartnett, Amanda Mertz, Caryl Pawlusiak, KellyRae Cooper, Maria Matter, Kristie Larsen, and me. These ladies are so talented! I am always amazed after receiving a swap - there are never two identical, or even close! Anyway, in my humble opinion, they are fabulous, but I will let you judge for yourselves! Last is mine. Very simple, stamps from Stampland, Chicago, heat embossed with black EP, and she's colored with Copics. Have a great week - thanks so much for stopping by! Check back on Thursday for some blog candy!!! Woo hoo!!! Today is the grand opening of The Craft's Meow store! 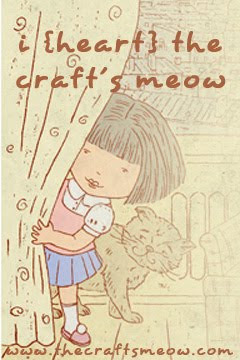 Please hurry over and check out my dear friend, Lisa Hjulberg's new store, The Craft's Meow! She's going to be featuring her very own new stamp line, as well as some amazing card kits, and many other fabulous and fun items! Unfortunately, I am unable to post a card today for you, with Lisa's wonderful new stamps, but please hurry over to The Craft's Meow Store, and see what others have created for your inspiration! I will have something to post toward the end of the month! "Life" has gotten in the way of 'Fun' this month, but hopefully, things will be back to normal by the 30th. Oh my goodness, I have a zillion things to do, and should NOT be playing in my craft cave...lol!!! However, I could not resist Beate's challenge! 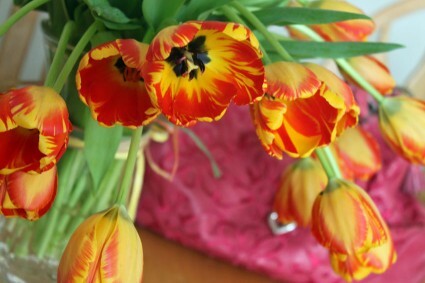 Beate Johns posted an inspirational photo of some tulips she has on her table, as we speak! She challenged her readers to create a card using that photo for inspiration. Today is such a gorgeous day (in the 70's folks!!!) that I had to play along! I used a set from The Angel Company called Flower Collage Trio. Dabbed a bit of copic marker color here and there, and sponged with Tim Holtz Distress Ink, Spun Sugar. Stay tuned - coming up in a couple of days will be our latest swap - we did bookmarks this time! Well, it is nearing another weekend, and I have a 'just for fun' card. This little guy is a Teddy Bo image. The sentiment is one that Paulette at Create with TLC gave away as a freebie a while back. It was too cute NOT to nab for later. Now I'm really glad I did! It's perfect for this cutie patootie, don't you think? 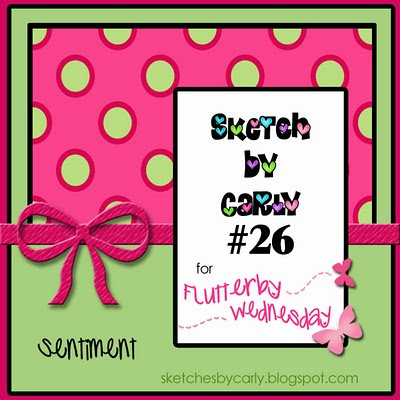 Flutterby Wednesday: Use green and/or Carly's sketch. I did both! I hope your Thursday goes well, and that you have a great weekend planned! Spring is creeping up on us, slowly, but surely, isn't it? Our snow is gone, for good, hopefully, and the sun is shining...life is good! Ella is colored with Copic Markers. 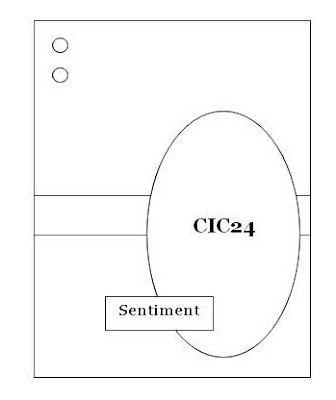 All CS is Bazzill Basics, and Nesties were used for die cutting. The pearls are Kaiser Crafts, the border stamp is The Angel Company, and the sentiment is Inkadinkado. Hope this finds you having a wonderful week! Thanks to all who have replied to my previous post! I certainly have some special friends! Food for thought: An error doesn't become a mistake unless you refuse to correct it! I worked with a lady for many, many years. We called her our little bionic woman. She's only about 5'1" tall, and probably 110 lbs. at her heaviest! When she was in her late teens, she was driving her volkswagon, and was hit head-on by a drunk driver. As you know, the older VW's had the engines in the back, so there was literally nothing between her and this idiot's vehicle. I'll spare all of the gory details, but she has hip replacements, knee replacements, pins in many other places, and her hands are so twisted and knarled with arthritis that she can barely dress herself. In spite of all of this, Penny never complains. She feels like, for whatever reason, it was God's plan that she and this drunk would 'meet' that unfortunate day long ago. She is the most upbeat, positive, hopeful, and prayerful woman that I have ever met. Through this all, she continues to work in the Special Education field. She is at the high school now, but for years, worked with the inner city troubled teens, teaching core subjects, and special ed classes at the alternative school where I met and worked with her. Friday afternoon, Penny took a very bad fall at school. She has pretty much mangled the femur in her 'bad' leg. The docs are going to insert yet another rod, this one will go from her hip prosthesis to as close as they can get to her knee replacement, and still give her a bit of 'bending motion'. At best, she is looking at a very lengthy and extremely painful recovery process. The minimum will be three months, and they are very much thinking that with all of her other issues, it will take much, much longer. Penny is very independent, and this will be difficult for her, especially with her hospitalization being in the city, 1.5 hours from all of us! What I am hoping for is cards for her - lots and lots and LOTS of cards! She has a great sense of humor, so funny cards, pretty cards, interactive cards - whatever you feel that you can send will be wonderful. These don't need to come all at once, as she will be laid up for quite some time. If you feel you can help, please mail her cards to me. As she may be moved from place to place, if you do that, I can get them to her a few at a time. Please feel free to ask your friends to send cards as well. In the bottom left corner, just put Attn: PB. Thank you so much! I know that this will be such a bright spot in her day! 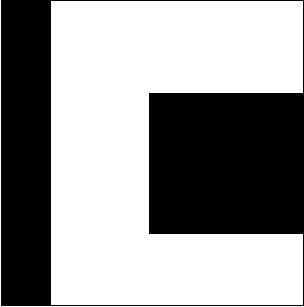 Food for thought: Consider the postage stamp: its usefulness consists in the ability to stick to something until it gets where it is going! Happy Friday! Even though I no longer leave home to work, I still look forward to Friday's. Silly, I know! 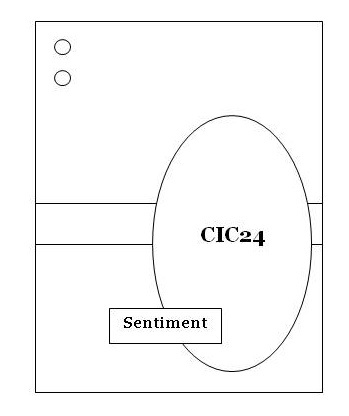 Today's post features another quick and easy card. Can't believe I've done another CAS card! It's almost one layer. I began with a piece of white cardstock. Stamped the floral stamp and sentiment (Hero Arts) with Versamark, and heat embossed with white embossing powder. Then took some various colors of Tim Holtz distress inks and sponged them over the images. Wrapped some ribbon around, tied bow, attached card front to card, then popped up the sentiment. Voila! Thanks for stopping by! Have a good weekend. My thoughts and prayers go out to those that reside in Japan, or have friends and family there. Blessings to all. Food for thought: The happiest people don't necessarily have the best of everything. They just make the best of everything. I hope that your week is going well - can't believe it's already Wednesday! I have a REALLY CAS card for you today! And a speedy CAS card, at that! This darling image is a digi from The Doodle Pantry, and is one of Laurie's fabulous pre-colored images. I printed it out, matted it, slapped some DP on cardstock, cut out the large shamrock at the bottom of the sheet of DP, stuck it and the focal piece on with dimensional dots, and voila!!!! No more than 10 minutes, tops! I'm entering this in the Doodle Pantry challenge: Use a Doodle Pantry Image on your project. Just for playing along this week, and using a Doodle Pantry image, you will receive a beautiful free digi set! but I'll be by sometime to see what you've been up to! So, tell me where the weekend went - wow, it went fast, that I know for sure! Today's card uses an older set from JustRite Stamps. 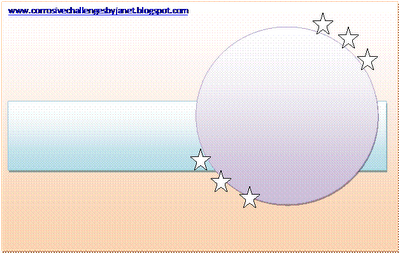 Joan's Gardens Weekly Card Challenge: Use ONLY JustRite Stamps. Supplies Used: Kraft Cardstock, Tim Holtz Cardstock, Versafine Brown Ink, Copic Markers, Starburst Glitter Pen, EK Success Border Punch, Buttons and Twine from my stash. Hope you coffee lovers out there can relate! Edited: If anyone is having trouble commenting here, could you please go to the Google Help Forum and report it? I have reported it, as have a couple of others - the more the merrier! Thank you ! Thank goodness, it really is Friday! I hope that you have lots of fun on the agenda for this weekend, and NO work!!! My project today is a tag for the Tag Challenge over at Joan's Gardens. I almost didn't participate. When I do a challenge, I always do all I can to use their products. I don't think I have anything except Christmas stamps from Joan's (better go shopping soon, right?). So, with that in mind, I nearly didn't work up a tag. However, I remembered having this fabulous Graphic 45 Paper Pad, "Once upon a Springtime", and OMG, it has such beautiful little images in it. So, I pulled out my scissors, did a ton of fussy cutting (therapy! ), and here is what I came up with! The butterflies are a Martha Stewart Punch, the ribbon is from my stash, and the pearls are Kaiser Craft. Thanks for stopping by! I hope your day is blessing filled! Food for thought: We make a living by what we get. We make a life by what we give. Hello, and happy Thursday to all! So, have you ever had a card that totally just fell together? This card is one of those. I spent the afternoon with my friend Shirley yesterday, and we literally crafted ourselves into exhaustion! We tried several fun new things, a couple of which are on this card. I brought all of the pieces home, as just that - pieces. I intended to make a few cards. When I dropped them on my workspace last night, they just went together so well, that I decided to make ONE card with all the pieces! The background is from the StampTV video that Gina K. had up yesterday. It uses a brayer and rubber bands, as well as heat embossing and distress inks. We had a lot of fun experimenting with this technique - we'd used brayers, rubber bands, and ink before, but never embossed with them! Head on over to StampTV and Gina will tell you all about it! I used her Nesties Labels Eleven to cut and mat, and cut one of the birds a bit outside the 'box'. I used several colors of Tim Holtz Distress Inks, and I can't remember them all! The gorgeous ribbon is StampinUp! binding ribbon, that was sent to me by my good friend Amanda! Be sure to check out Amanda's blog - she is very talented, and I'm sure she'd help you if you needed some products too!!! Hope you like it! Thank you for stopping by. How's that for variety? Me, I have a STACK of CD's. They range from all of the above, to Aerosmith, Bon Jovi, Ozzie Osbourne, Sarah Brightman, and many, many more. The winner, by random 'names in a hat' is: Sue from Oregon! Congrats Sue! Email me with your snail mail address, and I'll get your Itty-bitty, Teeny Weeny candy out to you! Food for thought: Humor is the WD-40 of relationships, which stops the creaking and groaning almost immediately! Well, I am going to try a new (to me) challenge today. I was blurfing this morning, and saw the inspiration photo on the Moxie Fab Tuesday Trigger challenge. Oh my goodness! That photo made me happy enough to try again to load my photos, and it worked! Thanks ladies for all of your help yesterday! Supplies used: Bazzill CS, Stampin'Up! Ribbon, Cuttlebug Dotted Swiss Embossing Folder, Copic Markers, Memento Tuxedo Black Ink, Ranger Glossy Accents, Gina K. Designs "my cuppa joe". 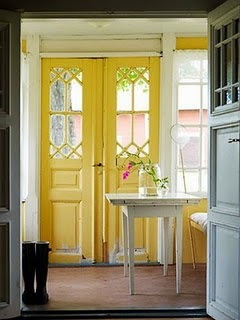 As you can probably guess, the first thing I thought of when I saw the beautiful doors and table was COFFEE!!! Actually, having a cup of coffee with a wonderful friend! Then I noticed that touch of pink in the vase, and had to add a bit of pink. I think this picture will keep me happy all day - I actually printed it out and hung it up for the day! I am also going to enter this at 365 Cards. The challenge there today is the #1 challenge for their new year, and it's a 'white space' sketch challenge - I've posted the sketch below. Hopefully, your week is off to a great start! We actually have no rain, no snow, and SUNSHINE!! Thanks so much for stopping by! Hope to see your card over at the Tuesday Trigger and 365 Cards! Thanks SO much to all of you who emailed, called, or commented. I may be posting pics soon! See, you ARE the smartest readers in the world!! !